International Launch Service successfully launches Nimiq 6 satellite aboard Proton for Telesat. Sea Launch conducts Hardware Acceptance Review of Zenit-2S launch vehicle to be used in support of Intelsat 21 launch. Russia successfully launches Soyuz surveillance satellite to photograph military installations, troop movements, and other sites of interest worldwide. Japanese SHIZUKI (Water) rocket successfully launches South Korean satellite and three Japanese satellites. MMA Design LLC delivers novel CubeSat Solar Array Drive Assembly that is capable of delivering up to 100W of power, increasing orbit average power by more than 300%, and enabling new high performance applications. Viasat enters new agreement with DIRECTV initiating plans to add Exede High-speed internet service to selection of video and broadband bundles for the home. Space X launch aborted – possible rocket engine valve problem; will be replaced before next attempt. Arianespace racks up 100th and 101st satellites to be launched as JCSAT-13 and VINASAT-1 are successfully lifted into transfer orbit. steroid discovered by Spanish observatory earlier this year will pass inside geosynchronous orbit in February, 2013, possibly disrupting some satellites or even hitting one. Dish Network presents case to government seeking approval to repurpose 2GHz satellite spectrum for terrestrial wireless, while requesting relaxation in FCC’s desired rollout schedule. Thuraya partners with GTNT to launch its mobile satellite services across Russia. SAIC will help maintain space-based infrared systems and military satellite communications for U.S. Air Force, as well as provide logistics management support for ground-based command and control systems for national defense weapons. German satellite and rocket manufacturer OHB Systems reported dramatic increase in profits and revenue for first quarter, and is in line for 12% increase in full year 2012. European Oil & Gas exploration to move North as warmer winters reduce artic sea ice; how far and how quickly will have affect on satellite communications requirements. Gogo, a leader of in-flight connectivity and wireless in-flight solutions, will partner with satellite equipment provider AeroSat to bring Ku-band satellite solution to commercial airlines. Second AEHF satellite successfully fires main engine three times, maneuvering toward intended operational orbit and avoiding predicament of its predecessor. 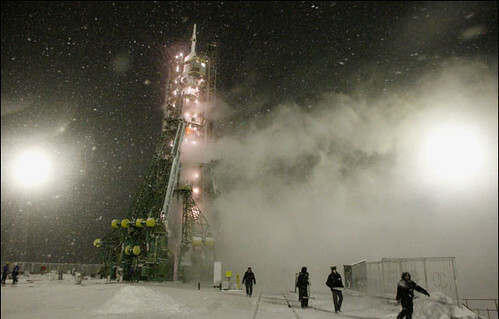 Y1B satellite successfully deployed in-orbit, and begins in-orbit testing. Arqiva contracts for additional satellite capacity on EUTELSAT7A to meet growing demand for professional video services across Europe and the Middle East. New Northern Sky Research study confirms earlier Euroconsult report that KVH is most widely used Maritime VSAT service. Researchers to launch 20 satellites containing world class instruments from University of Oslo to forecast space weather and northern lights activity. Streambox announces release of software encoder ideal for HD mobile newsgathering over public internet, 3G/4G LTE, BGAN, and WiFi connections, optimizing transmission using combinations of all paths simultaneously. Global Telesat is awarded new contract to supply U.S. Navy with mobile satellite equipment. Free NSR Webinar in two weeks to offer in-depth discussion of the case for hosted payloads. National Space Society calls on U.S. Congress to ease export control regulations on spacecraft and related items, as urged by U.S. Departments of Defense and State in recent joint report. Newtec’s IP traffic enhancement and shaping technology is implemented in the EURO HAWK Unmanned Areal System joint venture of EADS company Casidian and Northrop Grumman. NSR report – Global Satellite Manufacturing and Launch Markets – presents complete analysis of satellite manufacturing and launch industry for next 10 – 15 years. Russian Satellite Communications Company and Hughes Network Sytstems sign momorandum of understanding to explore innovative multi-media satellite networks and services in Russia. Optimus selects Eutelsat-s KA-SAT to be commercialised under the “Net Sat ON” brand to deliver reliable and competively-price broadband solution to enterprises in Portugal. Iridium is authorized to deliver its products and services in Russia. KVH names Boatracs first Value Added Service Provider for its mini-VSAT broadband service, bringing the broadband maritime service and Boatrac’s market leading software applications to vessels in a single package. Yahsat launches broadband service in Nigeria. NigeriaSat-1 soon to be decommissioned, as NigeriaSat-2 begins operation. Scientists in China have transmitted quantum bits, or qubits, over a record distance of 97 km, or roughly 60 miles. This is more than six times the distance of the previous record of 16 km, set by another team of Chinese researchers in May of 2010, as reported in Nature.com. The results represent a step toward the establishment of a global quantum network, and the methods used in the experiment could be utilized for satellite-based quantum communications, the scientists said. “This is just a transmission method, so it could have wide utility, though I expect the cost will initially make it best for huge data streams,” Rob Enderle, principal analyst at the Enderle Group, told TechNewsWorld. With the help of quantum entanglement, quantum communication can be achieved between arbitrarily distant places without passing through intermediate locations by quantum teleportation. In the laboratory, quantum teleportation has been demonstrated over short distance by photonic and atomic qubits. Using fiber links, quantum teleportation has been achieved over kilometer distances. Long distance quantum teleportation is of particular interest and has been one of the holy grails of practical quantum communication. Most recently, quantum teleportation over 16 km free-space link was demonstrated. However, a major restriction in this experiment is that the unknown quantum state cannot directly come from outside. Here, based on an ultra-bright multi-photon entanglement source, we demonstrate quantum teleportation, closely following the original scheme, for any unknown state created outside, between two optical free-space links separated by 97 km. 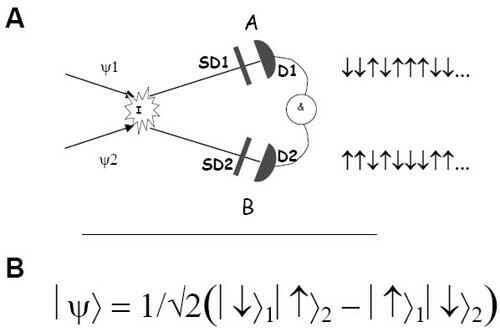 Over a 35-53 dB high-loss quantum channel, an average fidelity of 80.4(9) % is achieved for six distinct initial states. Besides being of fundamental interest, our result represents an important step towards a global quantum network. Moreover, the high-frequency and high-accuracy acquiring, pointing and tracking (APT) technique developed in our experiment can be directly utilized for future satellite-based quantum communication. Download the report (PDF) for yourself and read on. MEASAT takes Intelsat to court over alleged breach of contract in respect to the Land Launch and Program Management Services for the MEASAT 1R satellite. Arianespace to launch Vietnam’s second satellite along with Sky Perfect’s JSAT-13 on May 16. SES announces that its German HD+ platform reached more than 2.6 million households at the end of first quarter 2012. ViviSat, backed by ATK and U.S. Space, shows new video explaining how its Mission Extension Vehicle can extend the life of retiring geosynchronous communications satellites. ATK has developed Liberty into complete commercial crew transportation system, including spacecraft, abort system, launch vehicle, and ground and mission operations, designed to meet NASA’s human-rating requirements. While negotiating with Boeing to convert its current contract for new advance satellite terminals from cost plus to fixed price, the Air Force opens up the bidding to other companies. Dish launches DVR feature allowing customers to completely avoid commercials, threatening billions of dollars in broadcast-television advertising. Eutelsat cuts forecast for full-year revenue, and its stock falls the most since it began trading in Paris in December 2005. Vietnam says it will send its second satellite into orbit on May 16. 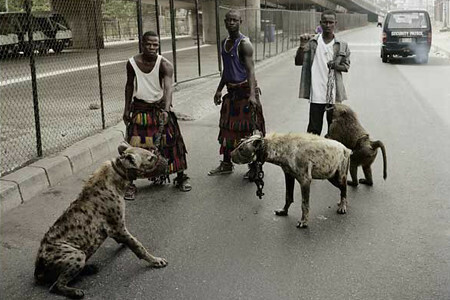 Nigeria says it will deploy satellites to trace movement of suspected terrorists and their locations in the country. Iridium unveils worlld’s smallest commercial two-way satellite data transceiver. L-3 to lay off 34 workers in Mason, Ohio, a plant that makes infrared sensors and systems and satellite electronics. MDA may lay off 150 additional employees if Radarsat Constellation Mission doesn’t continue. China launches Remote-Sensing Satellite Number 14. SpaceX and Bigelow Aerospace agree to jointly market rides on SpaceX’s Dragon spacecraft to Bigelow habitats orbiting Earth. Globecomm Systems gets contract value upgrade and 12 month extension to existing five year contract to provide complete facility and geographic diversity for voice and data restoration services to Agility Recovery Solutions. Comtech receives $1.5 million order for Ka-band high-power amplifiers serving the emerging High Throughput Satellite communications market. NASA announces the retirement of the TDRS-4 communications satellite. Netherlands Defence organisation a step closer to satellite communications independence following May 5 launch of communications satellite from Cape Canaveral. Eutelsat closes distribution deal with RG Networks, making KA-SAT satellite broadband available across Hungary. Astrium gets contract to provide airborne SATCOM systems to Star Satellite Communications Company, a subsidiary of Yahsat. Norsat revenues up 21% for strong 2012 first quarter. Telstra orders $5 million in docking stations and Iridium handsets from Beam Communications of Australia. Comtech gets $2.5 million contract from Latin American operator for satellite earth station equipment for the company’s network expansion. Scientists offer calculation to correct temperature data taken from NOAA-9 in the 1980′s, bringing it in line with other satellite earth temperature data and models that simulate global warming. 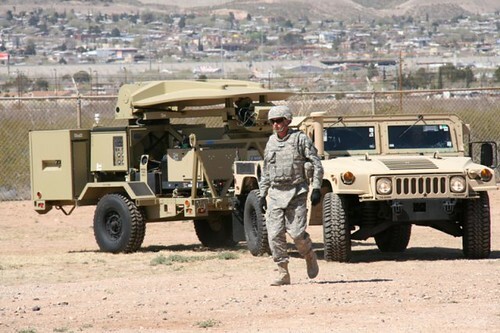 Field testing of Army’s mobile WIN-T C-2 satellite network finally under way in New Mexico after a year’s worth of delays. Intelsat reports first quarter net loss of $24.4 million, and confirms plans for four satellite launches in second and third quarters of 2012. Satcom Direct becomes reseller for TriaGnoSys satellite communications systems. SkyWave Mobile Communicatioins introduces IDP-780 series of terminals with dual mode satellite-cellular capability. Dish Network reports several technical glitches on its satellites during the first quarter, including solar array anomalies. Craftwork launches off-the-shelf software solutions enabling device makers to rapidly develop and launch new SAT>IP devices. U.S.A.F. 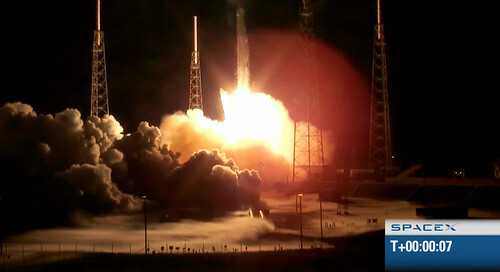 launches second AEHF satellite from Cape Canaveral. DISA says new strategy to build cohesive global network by 2020 could be used to acquire teleport receiving stations and satellite antennas outside the GSA vehicle for acquiring satellite bandwidth. Inmarsat shareholder protest over executive chairman pay. NSR webinar Wednesday May 30, 2012 will offer in=depth discussion of emerging market for Hosted Payloads across all market segments and all regions. Vizada and Vizada Elite Partner SRH Marine Electronics sign 24 month agreement with Danaos Shipping Co. to equip its fleet of vessels with full broadband communications system using Inmarsat FleetBroadband terminals. Thrane board accepts sweetened Cobham offer. North Korea’s jamming of GPS signals has serious affects on U.S. Army’s Rifleman Radio. VT iDirect and Informa Telecoms & Media release survey and white paper demonstrating market value and potential of satellite backhaul when used in conjunction with small cells. 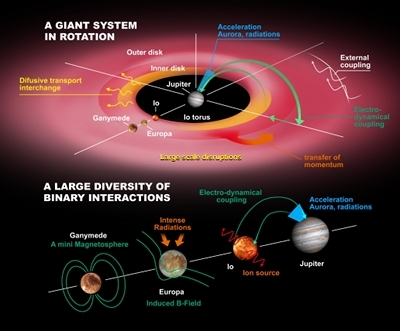 ESA announces its next large science mission will be an explorer (JUICE) that will be sent to explore Jupiter’s icy moons. South Korean flights affected by GPS jamming signals coming from communist North Korea. 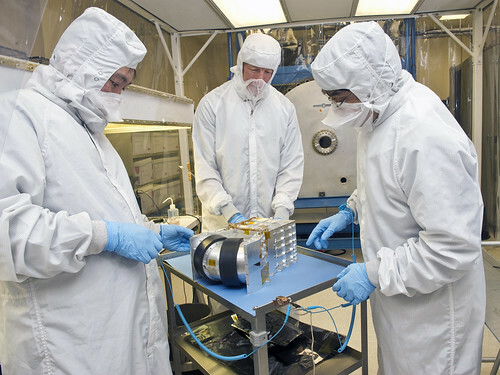 Goddard Space Flight team works on Fast Plasma Instrument that will collect full sky map of data at 30 times per second for the NASA fleet of four identical spacecraft, the Magnetospheric Multiscale mission, to launch in 2014. Orbit Communication Systems gets contract from Scientific Research Institute of the Precision Instruments, a Roscosmos member, to supply several Earth Observation systems for tracking of LEO satellites. Hoping to prevent bankruptcy, LightSquared’s lenders ask Philip Falcone to step down from LightSquared board seat he took just two months ago. U.S.A.F. begins negotiations with Lockheed Martin in effort to acquire two AEHF satellites below the $3.1 billion limit set by Congress in 2012 Defense Authorization Act. U.K to build $400 million Solar Orbiter which will come closer to sun than any previous satellite, inside Mercury’s orbit, to study solar winds.